Should an auditor’s qualified audit opinion on financial statements affect the acceptance of an applicant to ECFA or the continued membership of a current member? Are there any exceptions permitted and how should this issue be addressed with applicants or members? ECFA accepts some qualified audit opinions. This is done case-by-case, based on the nature of the exception. Standard 3 requires each member to submit complete and accurate financial statements as defined by ECFA.1 The ECFA commentary on Standard 3 requires an audit to be in accordance with auditing standards generally accepted in the United States of America (GAAS), with financial statements prepared in accordance with accounting principles generally accepted in the United States of America (GAAP). To the extent that ECFA is able to determine that the qualification does not create an undue risk or lack of transparency to donors or readers of the financial statements, it may accept financial statements with qualifications. ECFA believes it is not practical to produce a list of “acceptable” qualifications. Each qualification may contain different degrees of severity and may affect the fair presentation of the financial statements differently. Financial statements prepared on the cash basis of accounting are not in accordance with generally accepted accounting principles, and thus are not acceptable. If the difference between cash and accrual (GAAP) basis financial statements is not material, the member should expect that the auditor will issue a GAAP basis report. If the difference is material, the financial statements should be revised accordingly. ECFA maintains that obtaining an unqualified opinion is important and that members should work with their auditors to obtain an unqualified opinion. Many times the auditor can remove the qualification if some action is taken by the organization. Each organization should attempt to rectify the situation causing the qualification before the opinion is finalized. Many exceptions to a qualified opinion appear to be immaterial to the overall financial statement presentation. The organization should attempt to discern materiality of a qualification and urge the auditor to remove the qualification when it is not material. Where appropriate, the organization should encourage the auditor to use alternative testing methods to gain assurance and remove the qualification. In cases where there is an immaterial difference between the reports of an organization on cash basis versus accrual basis, the auditor should be urged to issue an accrual-based opinion on the financial statements. ECFA expects organizations to obtain an unqualified GAAS/GAAP opinion. If an organization chooses not to remove a qualified opinion which could be removed, it cannot expect ECFA to look favorably on that qualified opinion. All qualified auditors’ reports will be subject to greater disclosure. ECFA may need additional details from the auditor regarding the nature and severity of the exception before it can consider the application or approve an Annual Membership Review. If, after receiving these materials, ECFA believes there is no material misstatement or risk of misinterpretation, then ECFA may accept the audit. ECFA believes that organizations with a “Going Concern” are at greater risk of violating ECFA Standards 4, 7.2 and 7.3. The concern is that there may be unrealistic expectations on the part of the donors with regard to what their unrestricted donations will accomplish. Contributions used to solve past problems rather than to fund current ministry objectives causes a “Going Concern” to be viewed as unfruitful. ECFA may accept an audit with a current “Going Concern,” but will disclose this condition on the ECFA profile. 1 Note: This advisory opinion does not apply to situations where ECFA’s board has permitted members under certain thresholds to provide less than audited financial statements as the CPA in those situations does not express the same type of an opinion, or any opinion at all. or a combination of a products and services. While these marketing endeavors generally do not involve the solicitation of charitable gifts, they often include contact by the charity or a third party with the charity’s donor base, members, or other constituents. The contact often results in the expenditure of money to obtain a product or service. There is generally, but not always, a direct or indirect financial benefit to the charity as a result of the transaction. ECFA neither approves nor disapproves of specific marketing programs in which a member organization may engage. But ECFA does encourage members to adequately review and measure the risks associated with marketing programs. ECFA cannot advise the public about activities of non-ECFA members who may be strategically linked to or partnered with an ECFA member to accomplish a marketing program. Principle. Your donors, members, and other constituents are a highly valuable resource from God. Questions: Do all marketing activities honor and respect the rights and privacy of your donors, members, and other constituents? Does your organization retain control over your mailing list? Or, does a third party have the opportunity to integrate all or part of your mailing list into their customer database which, in turn, might be sold in the marketplace? Principle. Standard 7.1 requires "truthfulness in communication." All marketing materials should be clear and transparent. Expectations of donors should match the reality of the marketing service or activity. Question: Are all marketing activities transparent in their purpose and benefits? Principle. If you are partnering with a third party, carefully consider your motivation and their motivation to engage in the relationship. The sole motivation of your organization should be to further your ministry objectives. Questions: How does the proposed alliance with a third party further your ministry objectives? Does the furtherance of your ministry’s objectives surpass the profit motive of the third-party partner? Principle. Understand the risks for your ministry before entering into a marketing relationship with a third party. Do not put your organization at undue risk. Questions: Will the proposed activity be totally under the control of your ministry? Will the success of the endeavor or the third-party partner be enhanced—as viewed by your organization or the third party with which you are partnering—if you lend the name or reputation of your organization to the proposed activity? As a result of the activity, is your organization exposed to unrelated business income tax issues? Principle. The products or services offered should be consistent with the standards of your ministry. Questions: Are you certain that the products and/or services that will be distributed by you or a third party to your donors, members, or other constituents provide quality at competitive prices? If the products or services are not satisfactory to your donors, members, or other constituents, will the image of your organization be diminished? Principle. Good stewardship of ministry resources is always an important criteria. Questions: Have you projected the level of ministry resources required to implement and manage the proposed program? 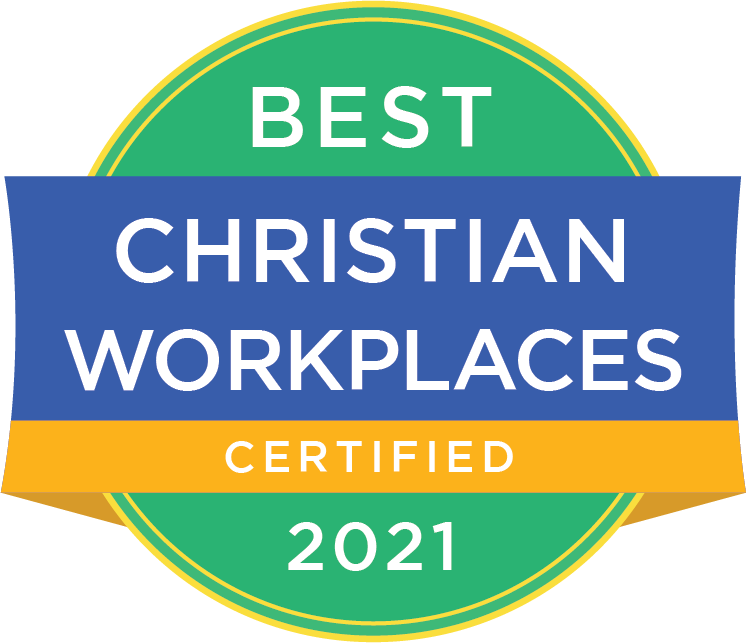 Does this financial commitment represent the highest and best use of your ministry resources? The conduct of ministries should provide a benchmark for integrity and righteousness. The long-term impact on your ministry should be considered before entering into an alliance or partnership for the promotion of a product or service. Organizations may make use of a third-party vendor to process mail, including product orders, premium fulfillment, and gift income. Services that can be provided include picking up mail from post office boxes, opening mail, processing orders, issuing receipts, data entry for accounting purposes, bank deposits, reports of all types for management analysis, etc. The process of collecting mail, banking gifts, issuing receipts, etc., is often referred to as “caging.” ECFA member organizations have asked questions concerning the practice of outsourcing “caging” services and whether it is appropriate for ECFA members. This advisory opinion has been developed in response to these questions. These services can be very helpful to charitable organizations and are often used by charities that have very large volumes of mail to process and believe that contracting with specialty organizations for these services is a more efficient use of their resources. Very small organizations can also make good use of businesses providing caging services. Small organizations may not be able to provide adequate security controls in mail opening and gift processing areas; i.e., more than one person being present at all times. In these cases, all income is deposited directly into the account of the charity and the vendor bills the charity for its services. When used in this manner, there is absolutely no problem with such outsourcing and, in fact, it may be a wise use of a charity’s resources. The charity should satisfy itself that the vendor operates with essential controls in place. One method of determining this is to request and receive a report by an independent accountant on internal controls of the service organization—a Statement on Accounting Standards (SAS) report, if such is available. However, in some instances, fundraising consultants offer caging services for their clients and this is where serious concerns begin to emerge. Fundraisers may offer caging services as a means of insuring payment for their services, or as a way to overcome a charity’s concern about upfront costs of a fundraising effort. This can be presented as a guaranteed no loss effort where the fundraiser agrees to limit its expense to no more than what actually is received. In those cases, funds are placed directly in the account of the fundraiser (or in a joint account with the charity) and only the net income in excess of the fundraiser’s costs are forwarded on to the charity. Also, in some agreements between fundraisers and charities, the charity’s donor list becomes available to the fundraiser to rent or sell to provide additional income to the fundraiser. These situations offer many opportunities for abuse and can cause problems in several areas. Accounting and reporting. When only net income is received by the charity the temptation exists to book the net income without any accounting for the expenses of the fundraising campaign. This would result in an understatement of fundraising expenses and therefore would not provide an accurate picture of the organization’s operations. This would clearly not be in accordance with generally accepted accounting standards and therefore would be a violation of ECFA’s Standard 3. Donor communication. When donors respond to a particular fundraising effort, they would naturally expect that their gifts are going to the charity itself to be used for the purpose described in the fundraising communication. When the fundraiser banks the gifts and only a portion (or possibly none) of the gift is passed along to the charity, donors are misled and ECFA’s Standard 7.2 may have been violated. Some states have laws stating that all income from fundraising appeals must be deposited in accounts held solely in the name of the charity. In those states, the arrangements mentioned above would be illegal and the charity would be liable for whatever penalties those states have established. Outsourcing of gift processing services can be a proper and appropriate approach for a charity to obtain higher levels of efficiency, security, and control. However, it is never appropriate for a fundraiser to provide the caging service. The fundraiser must never control the income, bank accounts, or have ownership of donor lists of a charitable organization. Much of the Internet’s innovation lies in its unique ability not only to reach a wide audience but also to provide that audience with immediate access to a wealth of information and services. From online charitable contributions (including donations received through third-party operated websites) and product sales, to online auctions, Internet-based affinity programs, and much more, the Internet impacts many ECFA members. ECFA’s Seven Standards of Responsible Stewardship™ apply to charitable solicitation and other member activities, whether the activities are conducted via the Internet or non-Internet venues. However, certain issues that are not addressed specifically by the standards—such as privacy, security and responsible partnering with other organizations—are into focus more sharply because of the Internet. For example, if a charity accepts gifts by credit card, security concerns should be heightened. If a donor provides email and other contact information to the charity, privacy issues may arise based on the way the charity uses that information to contact the donor. The purpose of this Advisory Opinion is to provide basic guidance for ECFA members as they conduct Internet activities. Adopt a written fundraising philosophy. Apply and reapply the philosophy to all fundraising practices—including Internet fund-raising. Employ Internet practices that exhibit integrity, honesty, openness, and truthfulness. Comply with all federal and state regulations regarding ecommerce. This includes charitable gift acknowledgments, state charitable solicitation registration, sales taxes, privacy, and unrelated business income issues. Apply your ministry’s functional expense allocation procedures to the ministry’s Internet activities. Decide whether accepting gifts via credit cards is consistent with the ministry’s fund-raising philosophy. Some ministries do not want to accept gifts at the risk of increasing a donor’s credit card debt. Other ministries accept donations by credit card but communicate concerns about credit card debt to their donors. Before entering into contracts with Internet vendors, perform due diligence on the vendor. Establish appropriate warranties, confidentiality guarantees and indemnification provisions in all agreements with Internet vendors. Clearly document how contributions will flow to the charity from an Internet-based service provider. Clarify the extent of your organization’s legal control over contributions and other funds. Comply with charitable gift receipting requirements. The IRS has confirmed that email gift acknowledgements meet these requirements. Additionally, electronic receipts are acceptable when issued through a third party if the third party is actually an agent of the charity under state law (IRS Publication 1771). Provide adequate communication for quid pro quo transactions. If a ministry provides a product in exchange for a donor’s gift, the ministry should communicate this fact, as well as the value of the product. Give donors an opportunity to reject your ministry’s product before sending it to the donor. If an ECFA member chooses to post the organization’s audited financial statements on their website, the entire audit report (excluding the management or comment letter), including the auditor’s opinion letter and the footnotes to the financial statements should be posted. 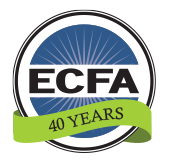 ECFA requires that, upon request, every member ministry must provide a report, including financial information, on the project for which it is soliciting gifts. The ministry’s website could be used to comply with this ECFA Standard by providing project reports on a widely available basis. Conduct online transactions only through systems that employ high-level security technology. Prepare an appropriate and accurate information security policy addressing such issues as secure storage of data, secure transactions and other similar items. Periodically (at least annually) test website security. Consider using an external security firm to regularly perform an independent assessment of the ministry’s on-line security. To communicate your security policy to website users, clearly post it on your website. Protect the privacy of individuals interacting with your organization’s website. Collect only necessary information and avoid collecting unnecessary data that might compromise an individual’s privacy. Make it easy for individuals to “opt-out" of email lists (as well as surface mail lists) to prevent the dissemination of unwanted communications. Allow individuals to “opt-in" before selling, transferring, or otherwise distributing the data to a third party for communication, advertising, or promotion purposes. Prepare a confidentiality agreement to be signed by all individuals with access to donor data. When linking to other websites, perform adequate due diligence (including financial due diligence) to ensure that third-party organizations are trustworthy and any products offered or ministries promoted by the third party are consistent with the mission of your charity. If hyperlinked to the websites of others, review hyperlinks annually to monitor any risk management issues that may arise resulting from the links. When others link to your site(s) with your permission or knowledge, perform adequate due diligence to ensure that third-party organizations are trustworthy and any products offered or ministries promoted by the other organization are consistent with the mission of your charity. If a third-party organization places information about your organization on its website, periodically review the information to ensure its accuracy. Promptly respond to all Internet-related complaints. Employ your best efforts to fairly resolve in a timely fashion all legitimate complaints relating to transactions conducted through your website. Overview. The leaders of many ECFA members author or develop various intellectual properties, including books. The organization’s governing body should ensure that the organization is not involved in unethical and deceptive practices relating to the procurement of products authored or developed by its leaders. The appropriate avenues with which to procure products should be reviewed against the backdrop of ECFA’s Standards 1, 4, and 6. In several of his letters, the Apostle Paul stresses the importance of being beyond reproach and behaving in such a way as to avoid even the appearance of wrong-doing. He tells us that we need to be circumspect to those outside the Church. The reason Paul most often gives is that we must not give Satan any opportunity to destroy the reputation of Christ. Arguably, and in an eternal sense, it may be true that the business of ministries and churches is of concern to God and not to others judging from the outside. However, Scripture is also very clear about our need to be open, honest, and above reproach as we wrestle with the issues of life before Christ’s return. As the Apostle Paul said, “For we are taking pains to do what is right, not only in the eyes of the Lord but also in the eyes of men” (2 Corinthians 8:21). The use of resources in a responsible manner includes managing resources in a God-honoring way. An organization that has expended assets in an unwise manner may diminish its own Christian witness. A potential conflict of interest arises when an organization’s leader decides the organization will promote or purchase books authored by the leader, with the leader receiving royalties on the books. This risk of a conflict-of-interest is heightened when, in relation to products authored or developed by leaders of ECFA members, (1) products are purchased at a higher price than is required and/or (2) there is an effort to mask the method of procuring products in order to improve product rating. ECFA members must avoid an actual conflict-of-interest by utilizing the related-party transaction process outlined in ECFA's Policy for Excellence in Related-Party Transactions when purchasing products authored by an organization’s leader. If an organization pays a higher price than required for procuring products authored or developed by leaders of an ECFA member, there must be a valid ministry purpose for paying the higher price. Otherwise, the excess expenditure of funds is for a non-ministry purpose. Where an organization attempts to mask the method of procurement from organizations that determine product ratings, ECFA believes such practices are not in accord with biblical truths and practices. procure products authored or developed by an organization’s leader at a higher price than otherwise available for the sake of improving product ratings, even if there is a valid ministry purpose for paying the higher price.